This is my dog, Captain. 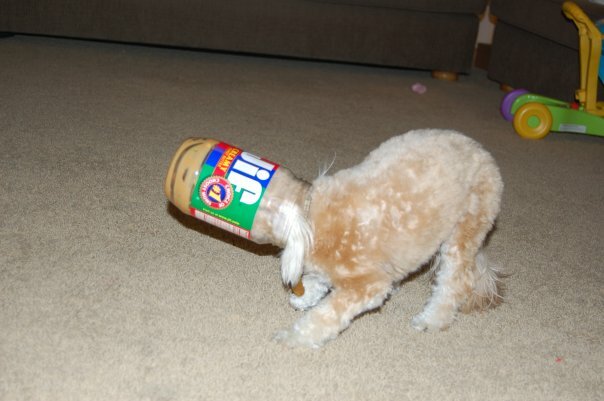 He loves peanut butter and gets to spend a little time with the jar once I am finished with it as a special treat. It didn’t go so well this time. *No dogs were harmed during the photography of this treat-gone-bad. Bwahahahahahahahahahahahahahaha! Our black lab’s big old head would NEVER fit into a jar of PB. But thank you for the much-needed laugh!! Hahaha! My cats are always getting stuck in places! I saw this on FB…hilarious! !